Update: Check out more photos of Maverick Coffee. 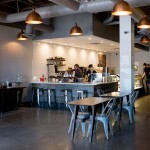 Just opened in Scottsdale — Maverick Coffee. Founded by two Olympian athletes, the new Maverick Coffee is serving coffee from Ritual Roasters out of San Francisco, CA. Maverick Coffee is the creation from Steven Lewis and Mitchell Watt, two Olympic athletes from opposite sides of the World first bought together by their love of coffee. 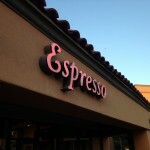 Maverick Coffee is located at the south east corner of Scottsdale Rd. and Shea Blvd. When I first heard the name Maverick Coffee I immediately thought of the 1994 movie with James Garner, Mel Gibson, and Jodie Foster (I quite liked it, if you haven’t seen it). 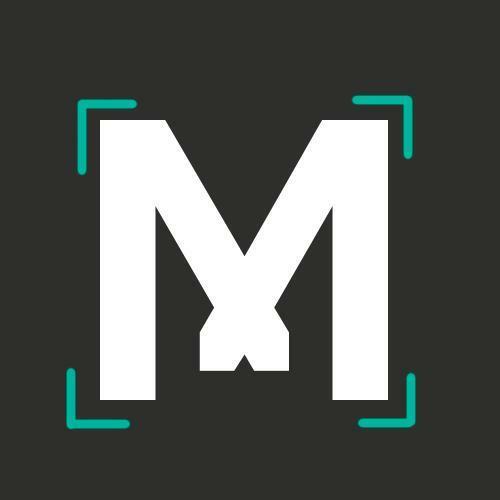 Maverick Coffee announced that they are open to the public beginning on Monday, so if you are in the area you’ll definitely want to check it out! I’m a little bit excited, as it’s fairly close to my stomping grounds. I’ll be checking it out this week.